Acupuncture was applied to acupuncture points Baihui (DU20) and Yintang on depression model laboratory rats. Electroacupuncture was applied the needles at 2 Hz with an intensity of 1 mA. Needle depth was 2 mm. 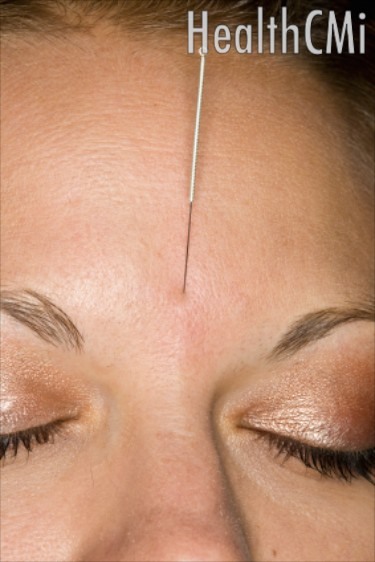 Needles were applied once per day for 21 days and were retained for 20 minutes during each acupuncture treatment. At the Healthcare Medicine Institute, we provide many acupuncture continuing education courses for acupuncture CEU and PDA credit on the treatment of depression and emotional disorders. This new research conducted by Beijing University of Chinese Medicine and Chinese PLA General Hospital, however, adds the first ever examination of electroacupuncture on the whole-genome level in relation to the treatment of depression. All prior research and acupuncture continuing education focused on single gene level expression. A total of 21 genes imbalanced by depression were normalized by the application of electroacupuncture. Depression abnormally upregulates some genes and downregulates other genes. Electroacupuncture homeostatically balanced both up and downregulation of gene expression to normal levels. Electroacupuncture also restored normal behaviors in the laboratory rats including actions in sucrose consumption, the swim test and the open field test. The genes Tmp32, Vgf:Tmp32 and Vgf are downregulated during depression and are normalized by upregulation with electroacupuncture. These genes regulate neuroactive steroid hormones that affect the nervous system. They regulate the function of the synapses, inflammation, myelination, the central nervous system and the HPA axis. The gene Trim32, involved in cell regulation, “was downregulated in depression and returned to normal after electroacupuncture.” The same was found for Igf2, a gene that promotes nerve cell proliferation and increased neurotransmitter levels between synapses. In the same way, Loc500373 was normalized. This gene is involved in ATP formation and energy metabolism. Electroacupuncture was shown to “promote ATP formation” and therefore benefed cell function. 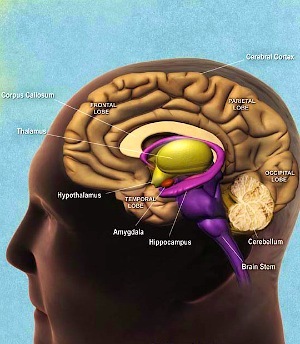 Brain protein synthesis is damaged by depression. This is reflected in the downregulation of gene Rtn4. Electroacupuncture normalized Rtn4 levels and facilitated restoration of normal protein biosynthesis in the brain. Also, electroacupuncture normalized levels of Hifla, an important gene involved in cellular apoptosis. In all, acupuncture normalized all 21 genes studied. Electroacupuncture successfully downregulated genes involved in oxidative stress and inflammation that had been upregulated by depression. This normalization benefits the brain by “maintaining tissue structure” and “restoring cell function.” The researchers note that this effect provides “evidence to the observed clinical effect of electroacupuncture on depression.” Overall, electroacupuncture demonstrated the ability to normalize gene levels involved in transcription/translation, neurotransmission and signal transduction, inflammation relating to the immune system, metabolism, enzymatic reactions and protein biosynthesis. Depression is a serious mental disorder affecting millions of people worldwide. Neuroendocrinological studies now demonstrate a connection between human biology and depression. This latest research, combined with a series of other recent investigations, demonstrates that acupuncture regulates biochemical reactions in the hippocampus including effects on gene expression. Criticisms of acupuncture as a “pseudoscience” by authors in publications such as Forbes Magazine will hopefully be redacted given the enormous body of new research to emerge in the last 2 years on the biochemical effects of acupuncture on the endocrine system and brain chemistry. The new research helps to bridge the gap between biomedical research and the efficaciousness of acupuncture. Hopefully, a new consensus will emerge wherein effective medicine can be judged by patient outcomes and scientific research.